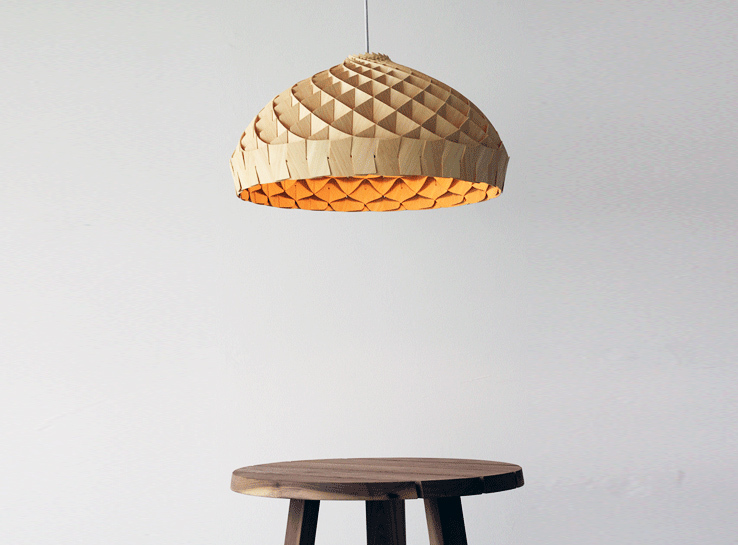 Edward Linacre‘s Nest Lamp is a beautiful flat-pack pendant light crafted from fast-growing bamboo veneer. The lamp’s interlocking design is inspired by forms found in nature, such as the honeycomb structure of beehives. Measuring 23 inches wide, the Nest Lamp is lightweight, strong and packs flat for easy shipping. It’s made from interlocking pieces of bamboo veneer held together with non-toxic glue. Linacre recently unveiled his Nest Lamp alongside the cutting-edge Australian design collective called the Melbourne Movement at Milan Design Week. Edward Linacre's Nest Lamp is a beautiful flat-pack pendant light crafted from fast-growing bamboo veneer. The lamp's interlocking design is inspired by forms found in nature, such as the honeycomb structure of beehives.